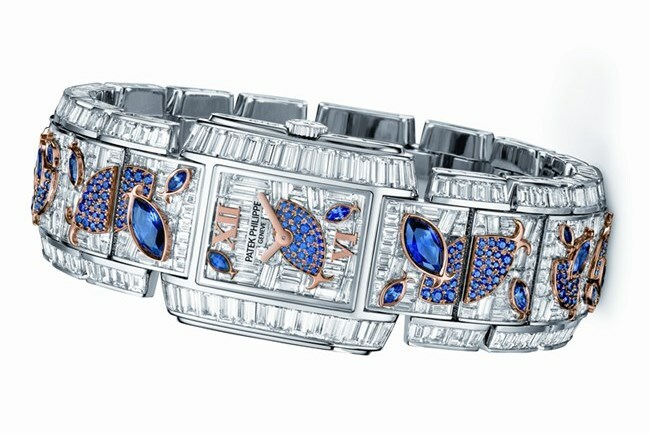 Just as jewelry tends towards playfulness in its most sublime forms, so too do bejewelled timepieces, as we can see here. However, Patek Philippe takes pains to remind us all that in this watch lies proof that this magnificent Geneva maison need not be shy about its very serious jewelry pedigree. Ref. 4909/110 “Aquatic Life” features a total of 1937 (no significance to the number as far as we can tell) diamonds and sapphires, set across the dial, case, bracelet and clasp. 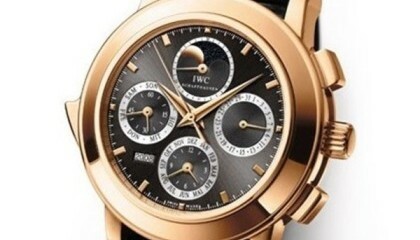 Totally 43.73 carats, the watch comes in 18k white gold and it is a two-hand time-only piece. 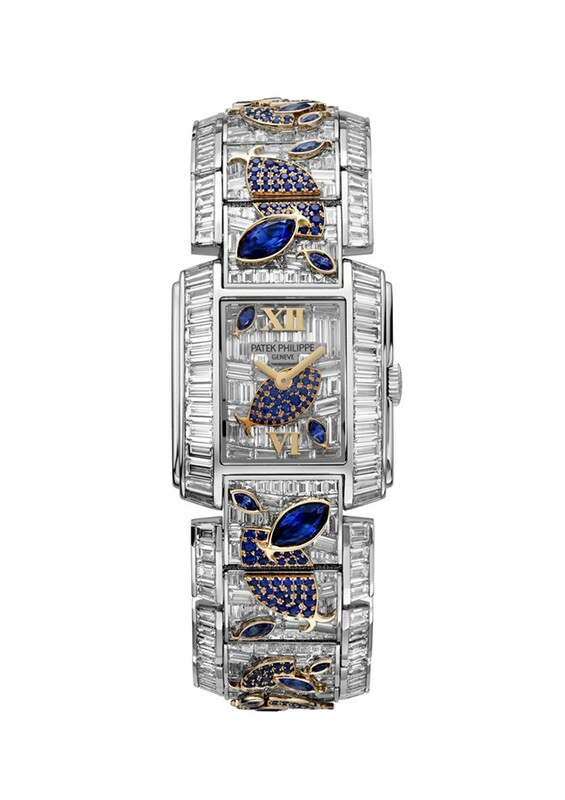 Visually, it looks like magical sapphire fishes swimming in a fantastical river of diamonds that would be at home wrapped around the wrist of Tolkien’s Galadriel. Unlike Tolkien’s fables, the watch is certainly real and is a testament to the powerfully creative forces at work in Patek Philippe’s design and gem-setting departments. Leaving aside the gemstones for a moment – only a moment – it is worth noting that we also like this watch because it features a manual mechanical movement, calibre 16-250. Lovingly decorated by hand and bearing the Patek Philippe Seal, this calibre speaks volumes to the commitment of the watchmakers at Patek Philippe, which celebrated its 175th anniversary this year. Returning to the clearly visible aesthetic dimension, all the diamonds are Top Wesselton (G and H color) flawless baguette and brilliant cut. It is the wonderful use of baguette diamonds that draws into this watch in the first place and draws attention to the subtle variation in the pattern of the setting. Basically, this required each stone to be cut to fit its specific place in the overall watch, which is no mean feat. 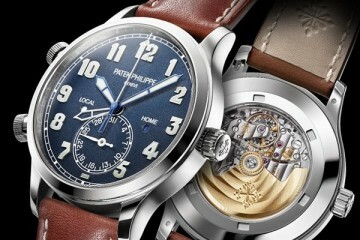 We shall return to some specific details about this watch in an upcoming story about the best in gem-set watches.